Are great leaders made or born? 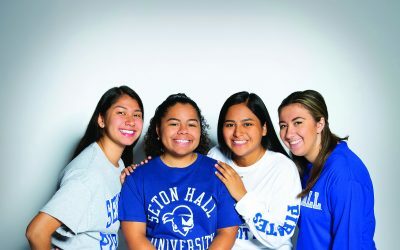 Seton Hall has proven just how well leadership can be cultivated through its award-winning program in the Stillman School of Business. Launched in 1995 as the Leadership Development Honors Program and supported by an investment from Gerald P. Buccino ’63, it has been ranked the top leadership development certificate program in the country for four consecutive years. Now, through the support of Interim Provost Karen Boroff, the newly launched Buccino Leadership Institute will be expanded across the University to include distinct leadership centers housed in six of the schools and colleges. Retired Lt. Col. Bryan Price, Ph.D., the institute’s founding executive director, launched the expanded program in September. 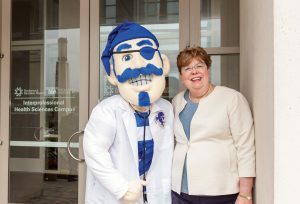 Seton Hall editor Pegeen Hopkins spoke with Price recently to learn more. What makes the new Seton Hall leadership program special? 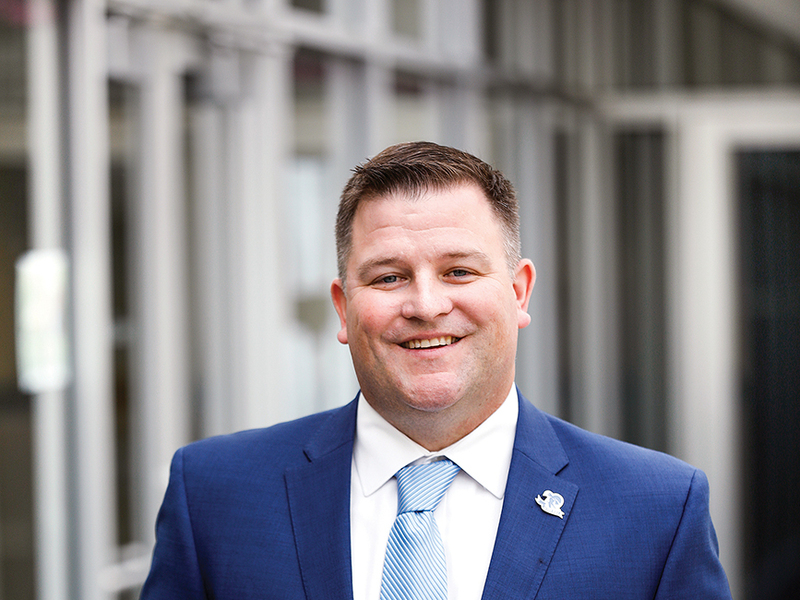 Given the success of its existing program, Seton Hall is uniquely positioned as a thought leader in leadership education. Beyond that, the program’s selectivity makes it notable. The 83 freshmen in the initial class have been chosen for their aptitude and interest in leadership during high school. Additionally, the program’s comprehensive nature is important. This isn’t just one course taken during freshman year. It’s a four-year program that will provide students with a deep understanding of leadership they will learn in a multidisciplinary setting. When all the schools’ leadership students come together, nurses will be sitting next to business students, poets, engineers and scientists. There’s a lot our students can learn from each other. But in years past, these leadership conversations primarily took place only in Stillman. Also, the institute’s associate directors are experts in their fields. So our students will learn about leadership generally, and they will also learn about what it takes to be a leader in their specific discipline from an industry expert. What specialized techniques will the program use? In addition to classroom and experiential experiences, students will also learn the same mental skills training and peak performance psychology that are taught to elite students and athletes at West Point. These mental skills include goal setting, visualization, imagery, resiliency and energy management, among other competencies. And every student will receive professional coaching from an accredited coach. All these concepts come together to give our students something unique. We want people who have a demonstrated aptitude or interest in leadership. That can take a variety of forms. Students may have excelled in academics, on a sports field or in student government. But we’re also looking for leaders in their churches or clubs or in nonprofit organizations. In some cases, they may be leaders in their families — students who may have had a sick parent or who have had to accept more of a leadership role inside of the nuclear family than is traditional. We want to bring in people with this potential and help them become the best versions of themselves in the hope that they will do the same for others. How will success be measured for graduates of the program? Through a variety of metrics. The University has selected seven pillars that our leadership students will develop competencies in: character, change management, courageous communication, collaboration, ceaselessness, conflict management and civic engagement. Each of the participating schools owns a competency and will measure students’ growth in its particular pillar. And because of the professional coaching, we will have data on students’ growth in specific leadership capabilities, culled from surveys and other methods including 360-degree feedback.